It is rare that beauty can come out of something that most people don’t consider as useful. The trend in construction is cost effective but esthetically pleasing. Both Natural and Manufactured Stone can fill both of these needs and wants with the right combination of profile and color. Never before has there been such a broad spectrum of beautiful Stone products at a reasonable price. Although Natural Stone is heavier than manufactured stone it is a great alternative. Many people think that Natural Stone is much heavier than the alternatives; but now with thin cut Veneer stone from suppliers such as Kodiak Mountain Stone; weights are much less than traditionally thought. It used to be that solid full bed stone was the only thing you could install to give you a natural look; but with advances in stone technology; Natural Stone has been cut thinner and thinner and can be installed in the same manor as manufactured stone with it being actual Stone. Stone demand has gone way up for Kodiak Mountain manufactured stone as well. With the varied selection, different sectors have also jumped on board including landscaping, general construction, residences, interior decorating and of course masons. All enjoy using custom stone in a variety of ways both commercially and residentially. With the lower costs of manufactured stone, and it being more user friendly; new customers are using stone in projects never conceived of before. Basically, people can find the stone that fits their particular need and style. In choosing Kodiak Mountain Stone; we have innovative materials, coloring pigments and concrete that is molded and manufactured to make it look real and natural. Only people with an intimate knowledge of stone work and a great eye for detail can tell the subtle differences between natural and Kodiak Mountain Stone; which creates more of an appeal with prices being significantly less. Our stone also allows us to use technology; incorporating things like longer durability, stain resistance than some natural stone. 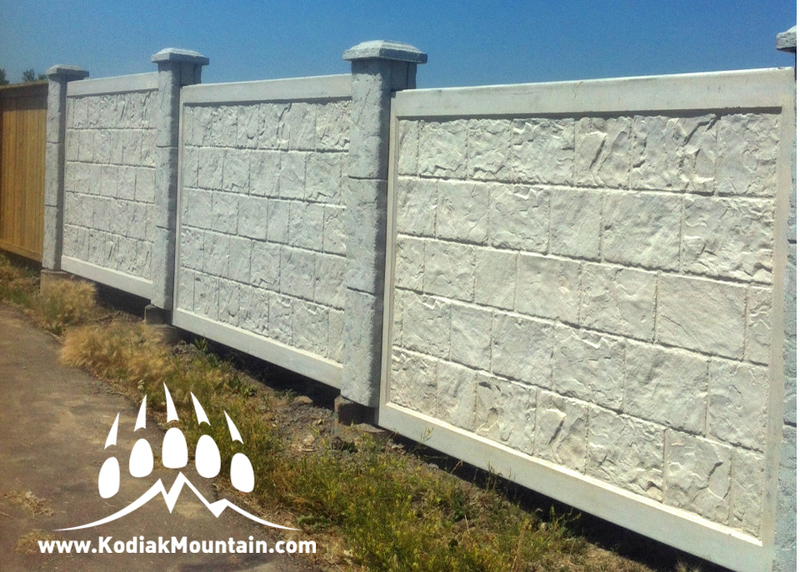 The actual molding process is inspired by nature; which makes Kodiak Mountain Stone look so real. Glacier has always been a popular color in our ready stack and with our new 3″ high profile it will continue to draw the eye with edge and color. Perfect for interior or exterior use; this glacier color will provide accent and and texture to any project! Long and narrow chiseled look gives a stacked ledge a rustic feeling and appearance that is perfect for the front of your home or a fireplace. With a old European feel; Cobble ledge blends architecture with style to highlight solid structural appearance. Dark coloring with contrast makes this stone stand out and makes it look authentic and aged. Gives you the antique look with the vibrant modern colors. Stone was the building blocks of modern civilizations and shale ledge with its chiseled narrow look gives a warm historic feeling of centuries long gone. We still have all our Kodiak Mountain Stone profiles available as well as being the exclusive dealer in Canada for Veneerstone. We have many profiles and colors available and in-stock for your next project. Call us or visit one of our showrooms for more information. The Lethbridge Home & Garden Show runs this year from March 13 – 16 at the Exhibition Park. From Wednesday to Friday the show runs from 1:00 – 9:00. On Saturday it goes from 10:00 to 5:00. Make sure to stop by the Kodiak Mountain Stone booth to see our samples of Manufactured Stone, Natural Stone, Bick and Acrylic Stucco. While you are at our booth enter our free draw for a fire pit. Also “Check-in” on Facebook while you are there to automatically be entered to win other prizes. 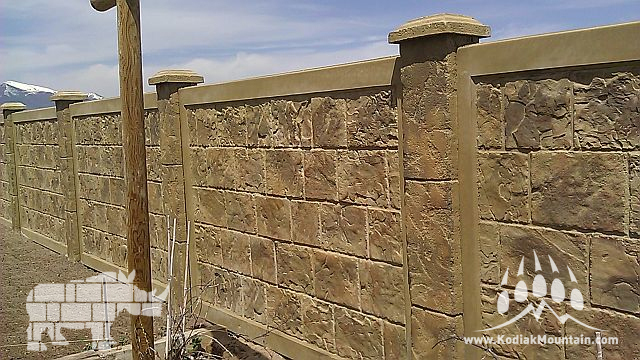 Concrete fencing products are becoming more and more popular due to their beautiful appearance and their durability. 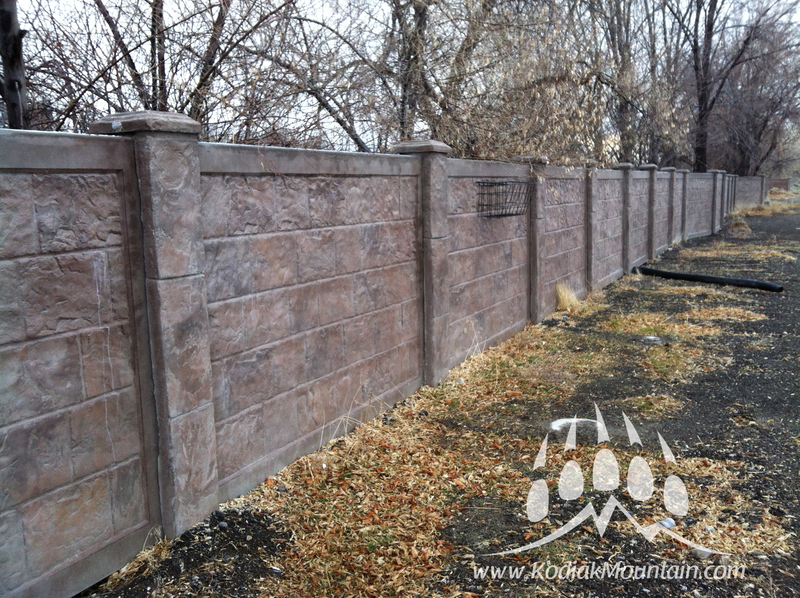 Kodiak Mountain Stone is proud to be a supplier of RhinoRock Concrete Fencing which is the next big thing in concrete fencing products. RhinoRock is not only beautiful and durable, it is light weight as well. A RhinoRock patented concrete wall is produced with a unique manufacturing process that makes the fencing panel 90% lighter than a traditional heavy concrete fence. A RhinoRock Concrete Fencing representative explains, “Our light weight construction doesn’t sacrifice durability because it is manufactured with high performance fiber reinforced concrete outer shell with a structural foam core.” Being a light weight product is beneficial for installation, shipping and safety. 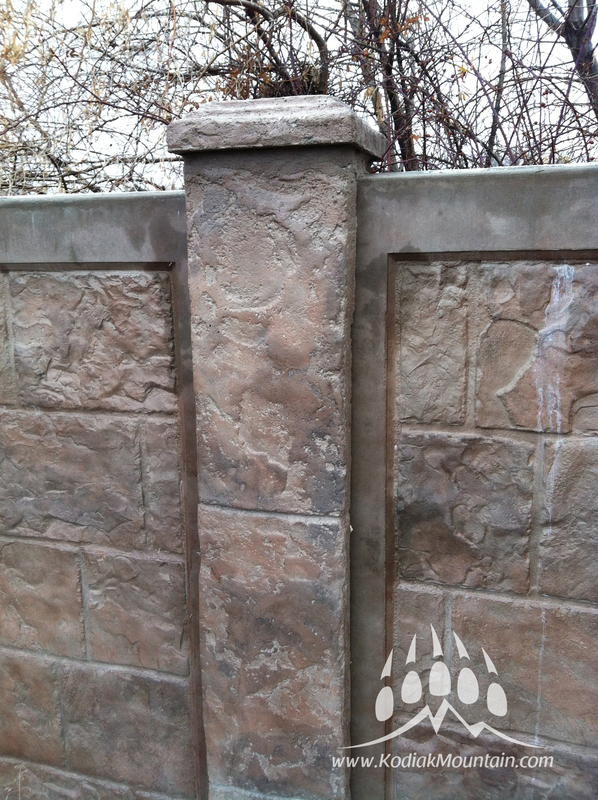 RhinoRock Concrete Fencing is a great product for both large and small jobs. It can be used in a back yard or to enclose a full subdivision. With some of the weather we have experienced in Southern Alberta in the past year, this may be the perfect product to replace your fence that was blown down, damaged by hail or ruined in other ways. Is Natural Stone too Heavy? I have been considering for quite some time to refinish my fireplace. I have tile on there now and would like to go with Mountain Valley Blend Natural Stone from Kodiak Mountain Stone . I am concerned that natural stone is too heavy and I have to reinforce my main floor; is this true? Although Natural Stone is heavier than tiles or manufactured stone it is a great alternative. Many people think that Natural Sone is much heavier than the alternatives; but now with thin cut Veneer stone from suppliers such as Kodiak Mountain Stone; weights are much less than traditionally thought. It used to be that solid full bed stone was the only thing you could install to give you a natural look; but with advances in stone technology; Natural Stone has been cut thinner and thinner and can be installed in the same manor as manufactured stone with it being actual Stone. Each case is different depending on how much stone is being applied and the over all size and weight of the project. There is also the preparation to consider for weight including the weight of a scratch coat and mortar and any other accessories added. Surface preparation is always key including waterproofing(on exterior applications) as well as making sure the project can hold additional weights(floors walls etc). Structural integrity should always be considered in any stone project and especially on older houses. A rule of thumb with natural stone is about 2.5 times the weight of manufactured products(which is about 10 lbs/ sq ft). 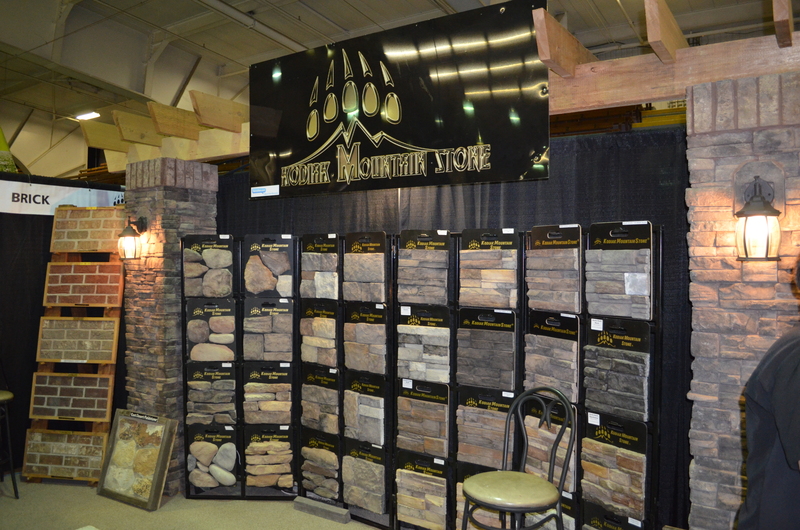 We at Kodiak Mountain Stone have a broad range of natural thin veneer stone for your interior or exterior products. Please feel free to contact us with any questions you might have. Question: Is this manufactured stone, natural stone and brick just for exterior use, or can we use it for interior projects too? Yes it can! All of our products can and are used on both exterior and interior projects. 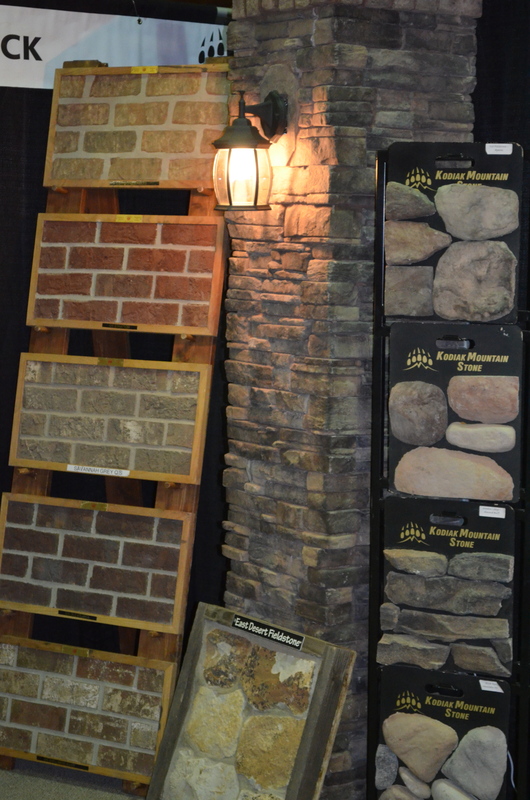 Inside, our stone and brick are often used on fireplaces, feature walls and back splashes. itself. Manufactured stone will typically weight between 10-12 lbs. Natural stone veneer may be double that weight or more. With either product it is a good idea to plan the project out with the help of an engineer. With manufactured stone you shouldn’t have any problems or issues with the added weight on a wall or fireplace. However, when it comes to natural stone on interior applications you need to pay a little more attention to the weight of the project. Depending on the amount of natural stone you will be using, you will need to ensure that the supporting structures are properly reinforced. Brick is also commonly used on inside projects. 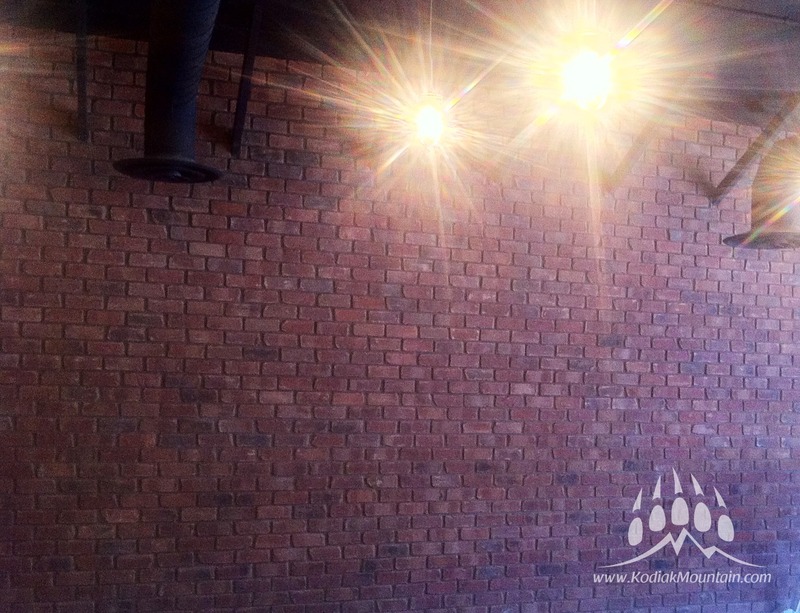 A common trend that we are seeing is the use of thin brick veneer on feature walls, fireplaces, etc. The brick that we supply can be cut into thin brick slices for such projects. These brick can be cut for both the flat surfaces as well as for corner pieces. Our staff at either of our stores in Calgary or Lethbridge can help you out and show you how this works, or you can contact us for more information at 877-563-4252. Acrylic Stucco is a little different from brick and stone in it’s use as an interior product. Not many people would turn to a stucco product for inside, but it has actually been a trend we have seen growing more and more in the past couple of years. We have some acrylic stucco products that have become very popular for flooring, specifically garage flooring. We have also developed some smooth finishes that are being used on interior walls. When you are building or renovating your options are endless. Don’t limit yourself to the status quo. Just because you see something that you think may be an exterior product doesn’t mean that it can’t be used to add that special touch on the inside too.